Slider Bed Belt Conveyors with a wide variety of belt choices (dependent on the application requirements) that is supported on a box channel slider bed conveying surface. 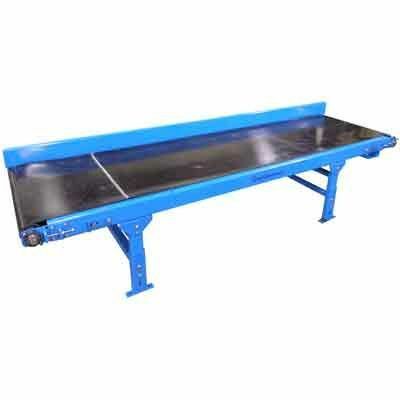 These Conveyors are used to positively convey cases, containers, or drums. These Units can be provided with a Lagged End or Center Drive (4", 6", 8", 10" diameter); and, can also be provided with V-Groove Tracking guides (for those hard belt tracking applications).